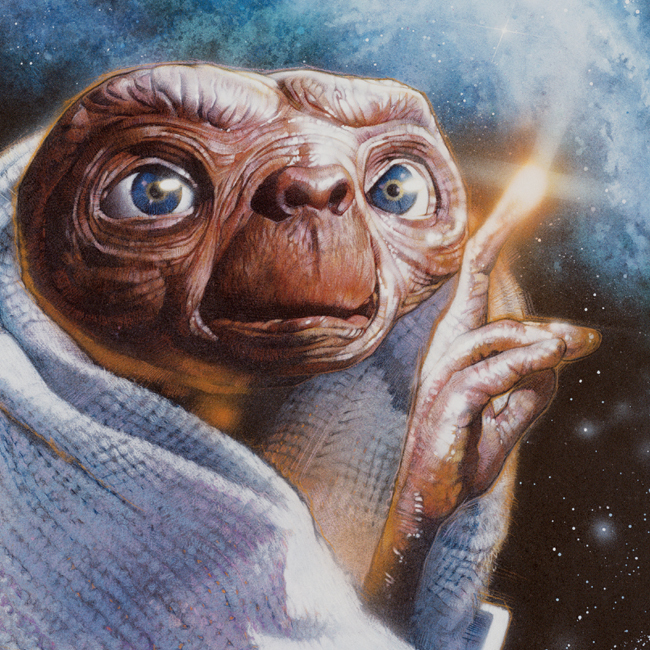 Director Steven Spielberg calls this piece of art the quintessential E.T.. It was reproduced as a poster, was used as the logo for Universal City Studios Parks, was seen on billboards and many products. Not bad for an ugly little guy from another planet, that’s E. T. I mean. Limited Edition Artist Prints also available, click on "prints" above to order.